Who is the most creative character in all of Pop Culture? 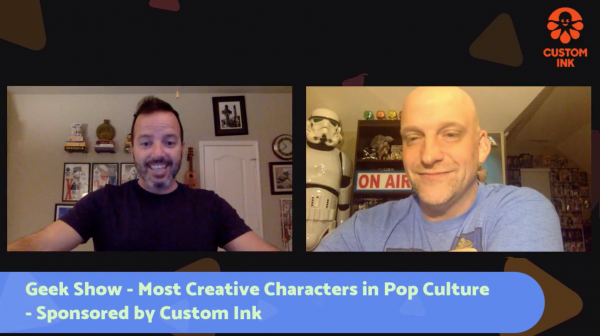 The Geek Show hosts, Art Eddy and Patrick Quinn talk about who they think are the most fantastic and awesome characters in literature, movies, TV and video games. This Geek Show is being brought to you by Custom Ink. 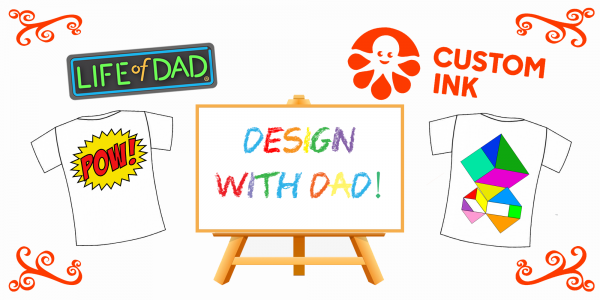 We are teaming up with Custom Ink for the Design With Dad contest. Enter to win a prize from Custom Ink HERE! Chris Seastrand · Carol on walking dead Has found more ways to deal with problems In different ways than any other character on the show. Kelly Clark · maguyver…..none was more creative than him! Billy Engleman · Wile E Coyote because he never gives up.